One of the biggest questions girls often have in life: Where the hell did my bobby pins go? I'm the type of person who will always lose hair clips, bobby pins, earrings, hair ties, rings; basically any tiny thing smaller than my hand... It would be a miracle if they're around for more than a week... But a year ago, I decided to use my empty pill organizer to keep all the tiny things I tend to lose. 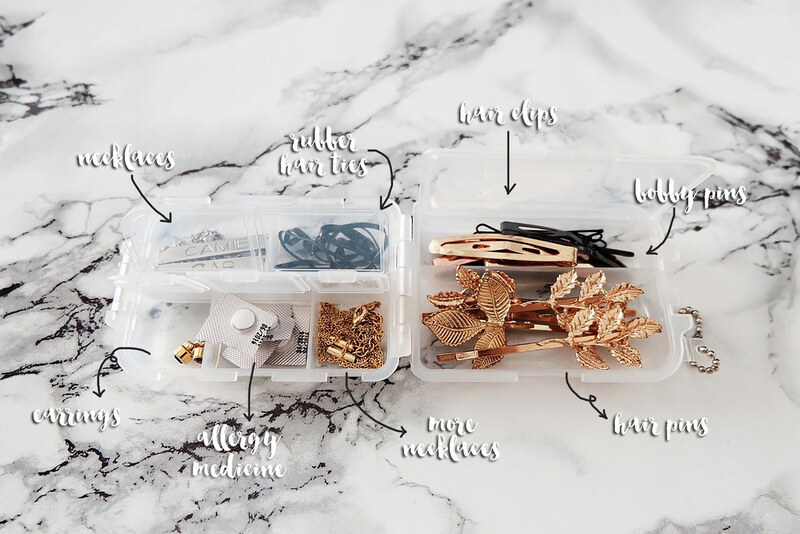 It turned out to be a genius idea, even though I'm sure I'm not the first to think of it, because I now have what I call my Beauty Kit and I hope this hack will be a useful way for you to organize your accessories too! Ta-da! All neat, compact, and heaps convenient! See how they all fit nice and snug? Even better, it closes and becomes even more compact at 3 x 2 inches in length and 1 inch in width! 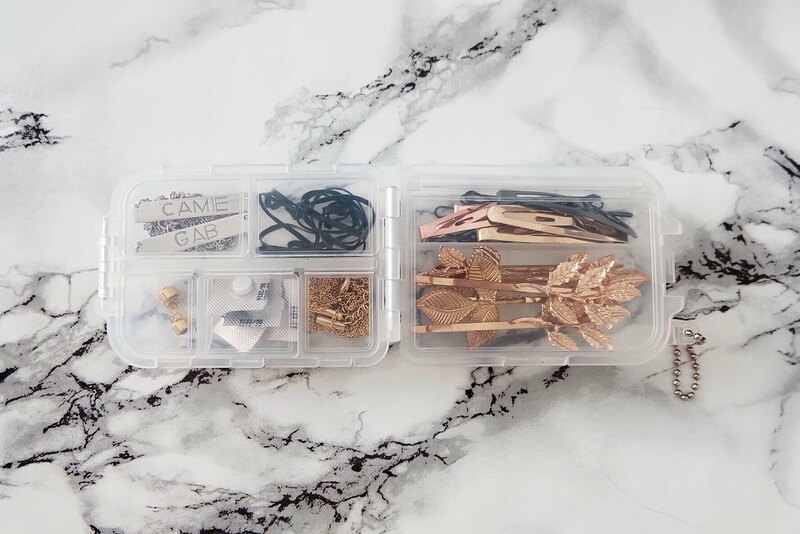 I always have this in my handbag in case I ever need a quick hair fix or more accessorising! I actually got the idea to share with you this beauty hack when I was at the Candy Magazine office a few months ago to shoot the hair tutorial videos they wanted me to do for their YouTube channel. It wasn't a planned down thing, and we sort of just winged it. 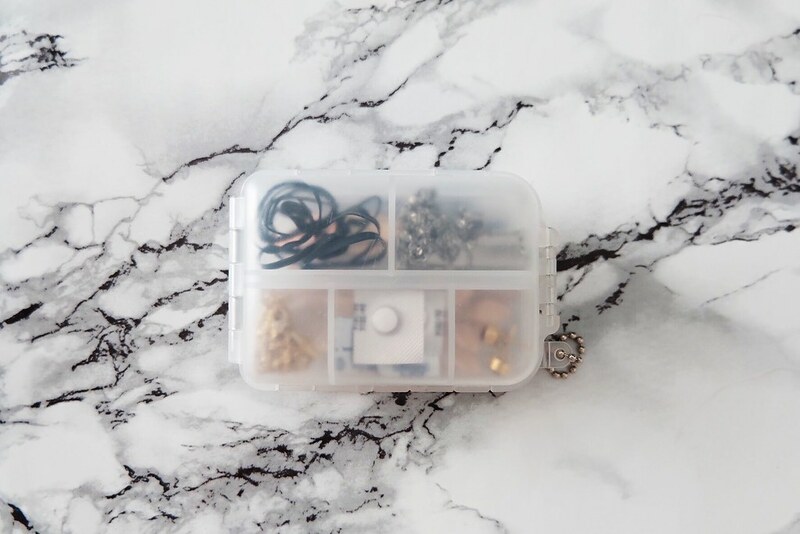 When I needed to do more hairstyles that required hair ties and bobby pins, I whipped out my beauty kit and one of the editors was so amused with my little kit that she told me it was a great idea! I never really realized it was until they pointed out how convenient it was. 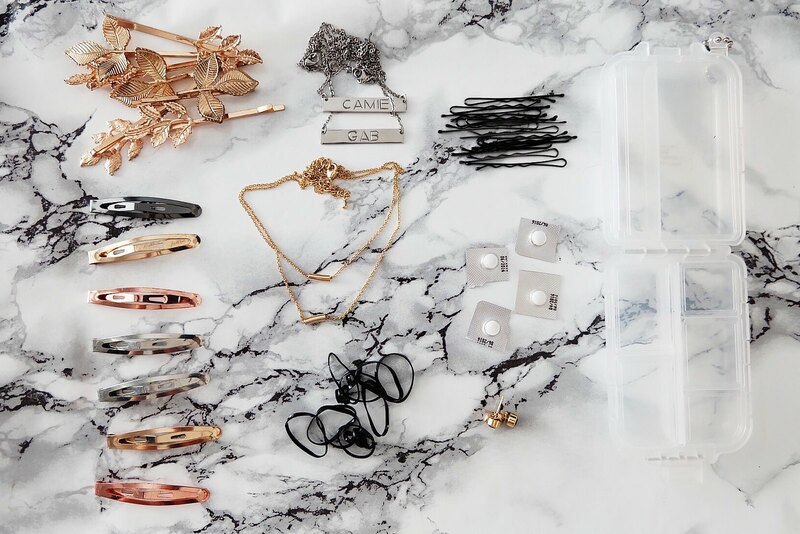 Let me know if you've got other accessory organizing hacks, would love to hear about them! God knows I need more organizing in my life. I'm a huge mess. Seriously. I'd make a terrible roommate.